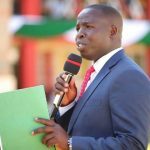 Governor Stephen Sang will on Monday host the Deputy President William Ruto during the launch of his Big 4 agenda. Governor Sang has aligned his Big 4 agenda to President Kenyatta’s Big 4 agenda that comprises of Universal Health, Food Security, Manufacturing and Affordable Housing. In health, Deputy President William Ruto will commission the MRI and Renal Unit, a stand by generator and inspect progress of the refurbishing of the Nyayo wards at Kapsabet referral hospital. 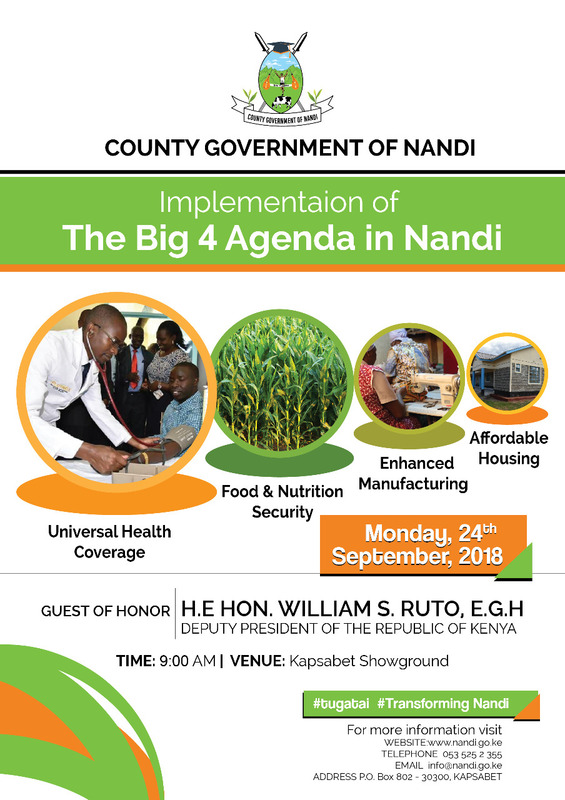 Sang in his first year in office, has invested a lot in the health sector and there is notable progress in the department and aligning his health sector to that of the President’s agenda will go a long way in ensuring that Nandi County’s health sector is among the best in the country. Ruto will also flag off 44 Motorcycles acquired by the county Government and given to AI officers to ease their movement while offering subsidized AI services to Nandi farmers.This is in bid to boost the Dairy farming sector within the county. The County Government has also acquired 5 Milk coolers that will be distributed to Dairy cooperatives from across the county. 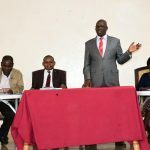 During the event, Ruto will also Inspect progress works at the Modern Residential athletic camp being put up by the county, Issue 21,300 title deeds and witness the Conferment of Kapsabet town as a municipality. 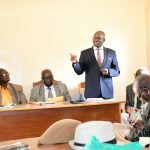 Governor Sang will also unveil his one year scorecard and enumerate to the residents what his administration has been doing in its first year in office.